An Illinois-based start-up founded a social networking site named “Techbook” for teachers. As one can imagine, Facebook sued for trademark infringement. Facebook, Inc. v. Teachbook.com, LLC, 2011 U.S. Dist. LEXIS 48590, 6-7 (N.D. Cal. May 2, 2011). Facebook sued in the Northern District of California, where they are headquartered. Teachbook.com, LLC, at *3. The Defendants filed a motion to dismiss, arguing personal jurisdiction was not proper in California. A plaintiff must show jurisdiction is proper when a defendant challenges personal jurisdiction in a motion to dismiss under Federal Rule of Civil Procedure Rule 12(b)(2). Teachbook.com, LLC, at *3-4. (3) The exercise of jurisdiction must comport with fair play and substantial justice. Teachbook.com, LLC, at *5, citing Schwarzenegger v. Fred Martin Motor Co., 374 F.3d 797, 802 (9th Cir. 2004). 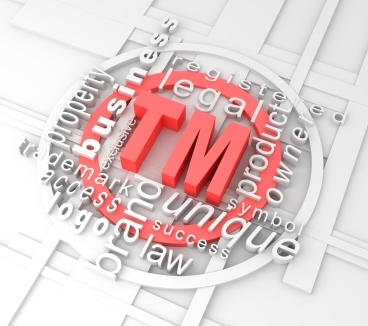 The Court quickly found Facebook made a prima facie showing that the Defendant intentionally selected a similar trademark. Moreover, the Defendant knew that the harm would be suffered in the Northern District of California. Teachbook.com, LLC, at *6. However, the Court marshaled a substantial amount of judicial understatement with its use of “nonetheless” in finding the Plaintiff failed to meet the “effects” test because they failed to show the Defendants’ conduct was “expressly aimed” at the Northern District of California. Teachbook.com, LLC, at *6. Quoting precedent, “a foreign act with foreseeable effects in the forum state always gives rise to specific [personal] jurisdiction.” Id. As such, the Defendant did not engage in “something more” than having foreseeable effects in California. Teachbook.com, LLC, at *6-7. Here, Teachbook’s alleged intentional act-adopting an infringing trademark-was expressly aimed at potential users of Teachbook’s website. Teachbook does not register users in California. Thus, even if Teachbook intended to compete with a California company, it intended to compete for users who were not in California. The fact that an essentially passive Internet advertisement may be accessible in the plaintiff’s home state without “something more” is not enough to support personal jurisdiction in a trademark infringement suit brought in the plaintiff’s home state. The Court further explained that none of the Defendant’s actions was purposefully directed at California. Moreover, the Defendant tried to avoid the California market. Teachbook.com, LLC, at *10. Not finding “something more,” the Court found for the Defendant. Personal jurisdiction has made caselaw for over 150 years. The age of social media, Tweets or status comments from GPS specific location, will only continue to fuel judicial opinions and law school exams for years to come.